Spain's profil. I wish it had English letters XD. 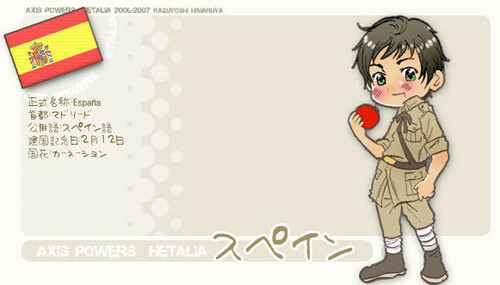 Wallpaper and background images in the Hetalia Spain club tagged: spain hetalia spain hetalia antonio fernandez cerriedo hetalia axis powers.